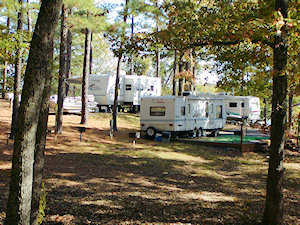 Wildcat Creek Campground offers seasonal camping sites from March 1st -to- October 31st. If you're interested in a seasonal site, please don't hesitate to contact us to check for site availability for the 2019 camping season. Seasonal campground sites at Wildcat Creek Campground start at $2,600 per season. Site price is based on each site. Different amentities available with each site. Electric is paid by seasonal camper. Meters are read monthly.